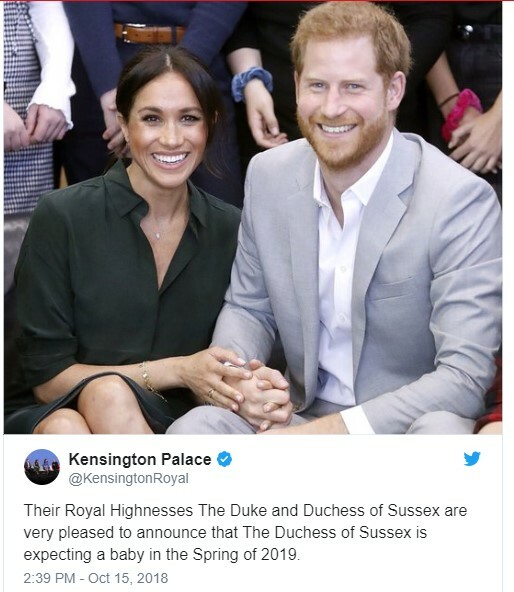 Prince Harry and his wife Meghan, the Duchess of Sussex, are expecting a baby in the spring of 2019, they announced on Monday as they began a Pacific tour.”The Royal Highnesses the Duke and Duchess of Sussex are very pleased to announce that the Duchess of Sussex is expecting a baby in the spring of 2019,” their Kensington Palace residence said in a statement.”Their Royal Highnesses have appreciated all of the support they have received from people around the world since their wedding in May and are delighted to be able to share this happy news with the public,” it said. 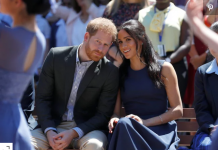 Harry and Meghan, a former US actress, wed in a fairytale setting at Windsor Castle on May 19.The two royals touched down in Sydney on Monday, kicking off a bumper Pacific tour that is their first major outing abroad as a couple. 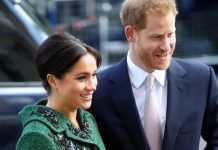 Their official visit, lasting more than a fortnight, will take in multiple stops in Australia, Fiji, Tonga and New Zealand — all members of the Commonwealth of predominantly former British colonies.Meghan, 37, made her name in acting as savvy para-legal Rachel Zane in the US television legal drama “Suits”.In her first solo charity project since the wedding, she launched a cookbook in September in support of families affected by the Grenfell Tower fire disaster in London. 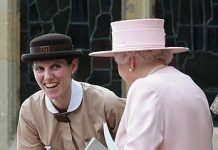 The duchess wrote the foreword to the recipe collection entitled “Together: Our Community Cookbook”, produced by women who suffered from the fatal blaze.The June 2017 fire in a 24-storey residential block killed 71 people and left many more living in temporary accommodation.Meghan’s every smile, step and wave has been scrutinised by royalty watchers curious to see how the mixed-race American actress will perform in her new role.She is adored by the public and shadowed at every appearance by the press.British media last month commented on her closing her own car door at her first solo engagement — the opening of an exhibition at the Royal Academy of Arts in London.The gesture was interpreted as a sign that Meghan remained a down-to-earth woman without pretences, despite being married to the grandson of Queen Elizabeth II.